JMP Architects provide a comprehensive architectural service managing the procurement process from feasibility through to completion. Their work is extremely varied from private house extensions and new build houses to commercial education healthcare and leisure projects across the UK. We worked closely with the client in developing a WordPress website for the company. The website focuses on the people and the projects with an aim to keep clicks to a minimum. 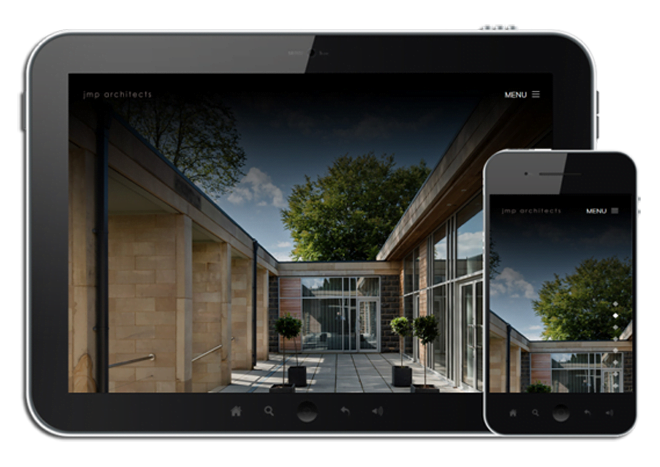 The resulting website is a content rich home page with background information, team section, a selection of projects, Twitter feed and contact information all contained on the home page. Other sections of the site include a portfolio page, with a project filter, and blog page. The finished website has a clean and minimalist design.